When I joined Grand Rounds last year, I knew I was joining a team who would not settle for the status quo in healthcare. Over the past 6 months, I’ve had the privilege of better understanding of what this means in practice. From our care coordinators who consistently go above and beyond to remove any barrier to accessing high-quality care, to our data scientists who generate actionable insights from messy healthcare data. With every case completed or employer customer launched on our platform, we are getting closer to achieving our big, bold vision for high quality healthcare, for everyone. I’ve also had the pleasure of hearing from our employer customers on how Grand Rounds is their trusted partner helping to redefine the healthcare experience for their employees. 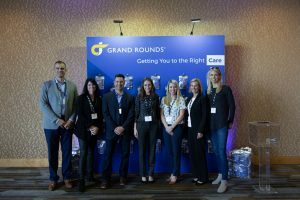 Many of our employer customers started their journey with Grand Rounds by focusing on complex care and now offer our navigation service for their entire employee population. Grand Rounds now has the most comprehensive solution of digital products and personalized services, designed to provide the best possible healthcare experience. While their company culture, industry and employee populations may differ, all of our employer customers are committed to helping their employees access high quality healthcare. 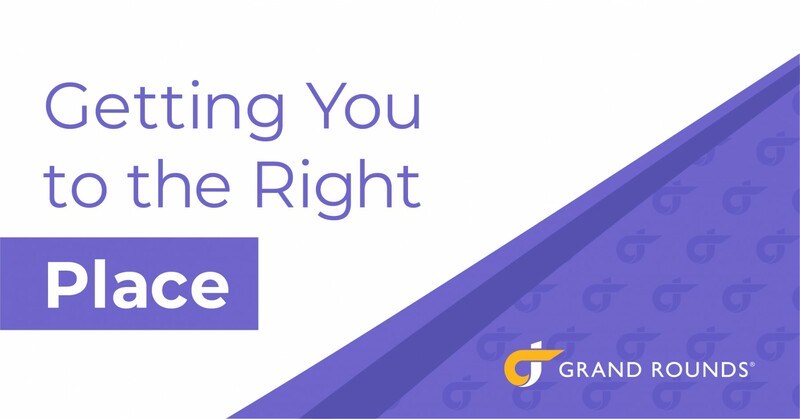 We’re acutely aware of how all of the individuals connected to Grand Rounds are helping to build and shape our brand.The Marketing team has been hard at work to simplify the Grand Rounds message so that it’s in service of more than 120 customers and 4.5 million members getting to the right place in their healthcare journey. You’ll see this theme come to life through our refreshed website, our bigger and bolder presence at the leading employee healthcare conferences, our own hosted events or when you see us at open enrollment fairs later this year. We are challenging ourselves to go big and be everywhere. If you’re a benefits leader at any of the following conferences, be sure to say hello at the booth or any of our events on the ground. We know it’s a long road ahead but we’re unrelenting in our commitment to getting you the best care possible. We’re excited to be on this journey with you. You’ll find us at the following upcoming healthcare conferences!